At Mass this morning, our priest celebrated the entire Mass as a wedding. Every part of the Mass was described in detail, as the “Wedding Feast”. Every Catholic Mass is a “Wedding”. 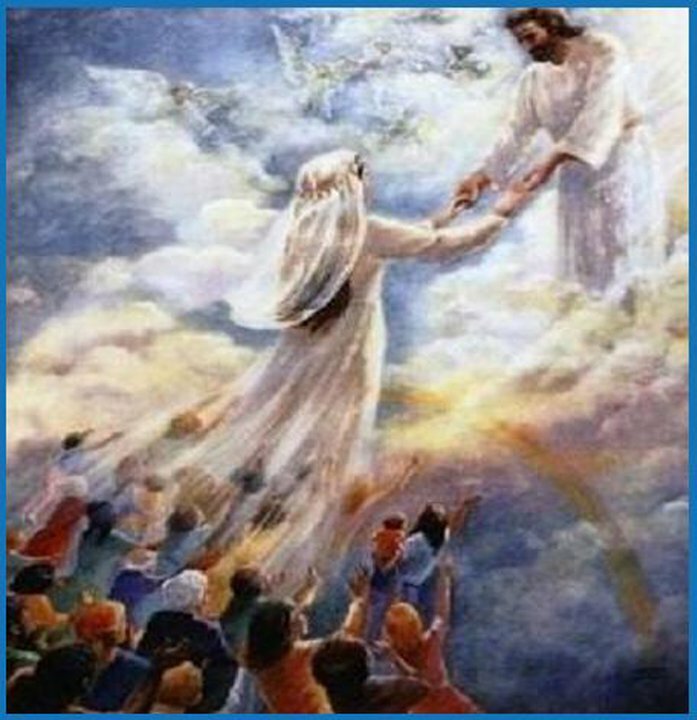 The Bridegroom is our Lord. We the “Church”, each one of us are His bride. Our priest even had the organist play the “Wedding March” at one point to remind us, He is the lover of our souls. The only one to give His life for His bride. He is always faithful and He is our King waiting for us to say yes to his proposal to live in Him. To become one with Him. As “Communion” with Him is the “honeymoon”. Every Mass I attend, I know this, but oh how special today was, to have the entire church understand exactly how much He loves them. Last night I was called in to the church to put away some decorations and brought the rose from “The Heavy Rose” story, and placed it at the feet of our Holy Mother Mary. When I was reminded of this, I asked her to help me to be the faithful spouse our Lord intended me to be, to Him, completing this day in total JOY! Have a blessed day ♥. I pray every Catholic understands the beauty of the Mass and never forget, but grows in love, to love Him more. I’d been thinking about the Bridegroom a few days ago.. I heard a Father Sean speak about it on Relevant Radio when he spoke about the Wedding at Cana and the Bridegroom. I feel this way, but don’t often meditate on it.. because it’s difficult … because, well, because I’m already married! But, you’ve inspired me. I know this is all of us, He, wanting to be one with our souls. I will keep this one in my heart..
could you share with me the artist for your image. 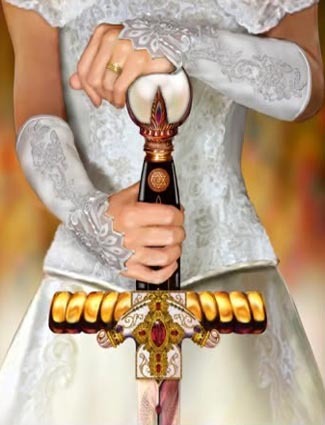 I really like the Bride of Christ photo painting you have pictured. I will try to find the artist info for you. Its been a while since I posted this one, so it may take me some time to find it.